The fact that women are seriously under-represented in the fields of science, technology, engineering and mathematics (STEM) is hardly news, and certainly not a problem local to the Yukon. It is a global and ubiquitous situation. But local social and economic factors do play into it in different ways in different locales. 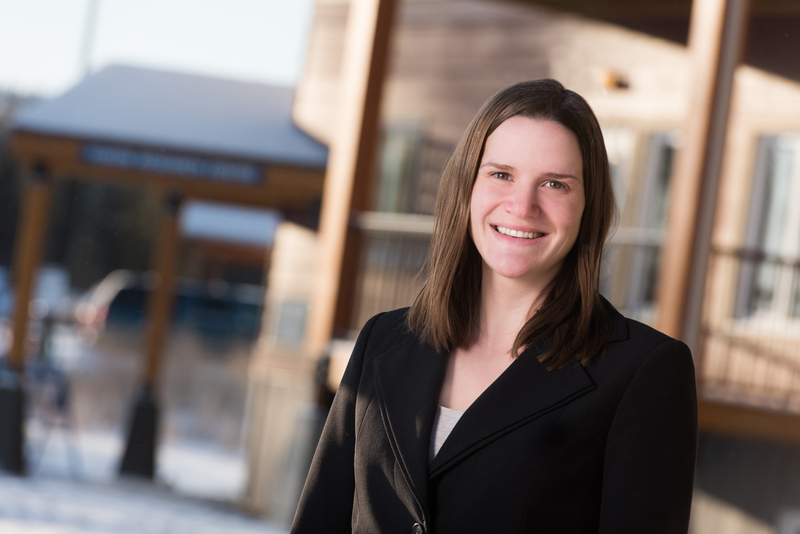 Alison Anderson, a professional engineer working as the Technology Innovation Officer at Cold Climate Innovation at Yukon College, is now fronting an effort to understand and address the interplay of those global and local factors in order to advance the cause of women in STEM in the Yukon. As of January this year, she took on the role of Associate Chair for Westcoast Women in Engineering, Science and Technology (WWEST). That organization is part of a nation-wide effort by the Natural Sciences and Engineering Research Council of Canada (NSERC) to promote and support the participation of women in Canada’s knowledge and technology sector. WWEST is one of five regional NSERC chairships dedicated to this effort. Dr. Lesley Shannon, Associate Professor of Engineering Science at Simon Fraser University, heads up this branch, representing the BC/Yukon Region. She decided to establish satellite programs to extend the reach of the initiative. A call for proposals was issued, and Yukon College responded, successfully. Given the College’s focus on natural science and technology development, and given Alison’s engineering background and involvement with women in science and technology initiatives, it seems like a natural fit. What it means for Alison is that, while 80% of her work is still devoted to helping Yukon entrepreneurs develop their technology ideas and grow their companies, the other 20% is now devoted to engaging with educational institutions, businesses and the public to increase awareness of the opportunities available to women in STEM, and the problems that need to be addressed to make sure they can make good on those opportunities. This 20% portion is an in-kind contribution from Yukon College and the rest of the satellite program is jointly financially supported by NSERC and by local Yukon companies and organizations—TechYukon; Engineers Yukon; Goldcorp Inc.; Government of Yukon, Executive Council Office and Office of the Science Advisor; Make IT Solutions; NorthwesTel; Total North Communications; Yukon Chamber of Mines; Yukon Women in Mining; and Yukon Women in Trades and Technology. Alison is a former Yukon chair of Engineers Canada’s 30 by 30 initiative, which has the objective of “raising the percentage of newly licensed engineers who are women to 30% by the year 2030.” Currently, only about 17% of newly licensed engineers nationally are women; and 30% is deemed to mark the “tipping point” for creating sustainable change in the gender composition of a professional sector. Outside of those engineering figures, we do not have much in the way of solid local information about the status of women’s participation in STEM. That, in fact, is one of the projects the local Associate Chair Alison is undertaking—gathering data, and doing the statistical analysis to establish metrics and indicators that will help measure future developments. Alison hopes to have a report on this data ready in the fall of this year. Alison is also engaged in developing a Yukon-focused sub-series of a podcast series produced by WWEST celebrating female role models in STEM in the North, including interviews with local women in STEM. This sub-series will publish a northern-focused episode monthly. Best of the WWEST: Inspiring Women with Real Stories can be found on iTunes, Stitcher or your favorite podcast provider. There have been a number of professional development and student outreach events in the past several months, and a large social event is currently being developed for this fall to kick off a wide range of other events and activities. A STEM outreach collective has also been started, looking to collaborate to inclusively engage and educate youth and the general public in STEM. Organizations attending the initial meetings have included TechYukon; Yukon Astronomical Society; Yukon Transportation Museum; Museum Hackathon; Yukon Women in Trades and Technology; BYTE; Engineers Yukon; Yukon College; Yukon Government, Department of Education and Department of Environment; We Count Math Society; YuKonstruct; and Yukon Wildlife Preserve. The key to all this activity is to bring local resources together to foster and grow the involvement of local Yukon women in STEM careers. Companies, organizations or individuals interested in contributing to the accomplishment of this mission should contact Alison at [email protected]. You can also follow the effort on Facebook and on Twitter too, or visit wwest.ca/yukoncollege.